All Hallow's Eve is fast approaching. From now until the macabre occasion, Cautionary Women will give you tips and tricks on what is Halloween all about: dressing up! 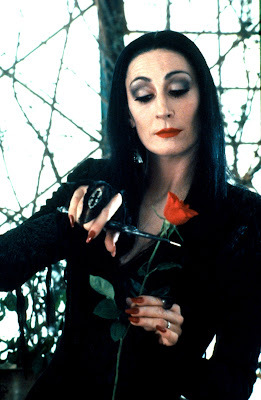 To start, let's try to get the look of Morticia Addams, one of the reigning queens of Halloween. 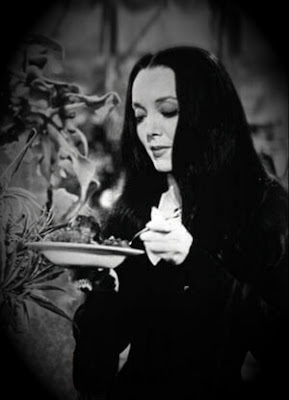 Now Morticia, the iconic matriarch of the Addams Family, is scarcely the evil woman pictured here at Cautionary Women. She is rather something of a paradox: scary-looking but kind (in the way she knows how), intimidating but approachable (again, in the way she knows how). She is just eerie, not evil. Yet Morticia can give any superbly nefarious queen a run for her money. Whether on TV, film, or anywhere The Addams Family franchise is splayed, Morticia commands attention, or the lack thereof out of fear, with her spine-tingling style. 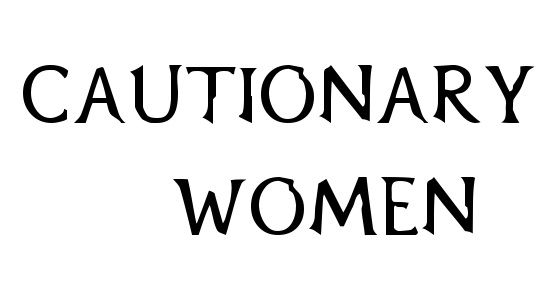 Sure she may be fundamentally good and all, but try running into her on a solitary road at night. If you have waist-length, jet-black hair, then whip it like Morticia! Otherwise, you can make use any of these fabulous wigs. For added effect, you can ask your friends to dress up as other members of the Addams family: Wednesday, Gomez, Pugsley, Uncle Fester, Cousin It, etc. Go to the Halloween party as one for maximum fun, fun, fun! Morticia is the best !